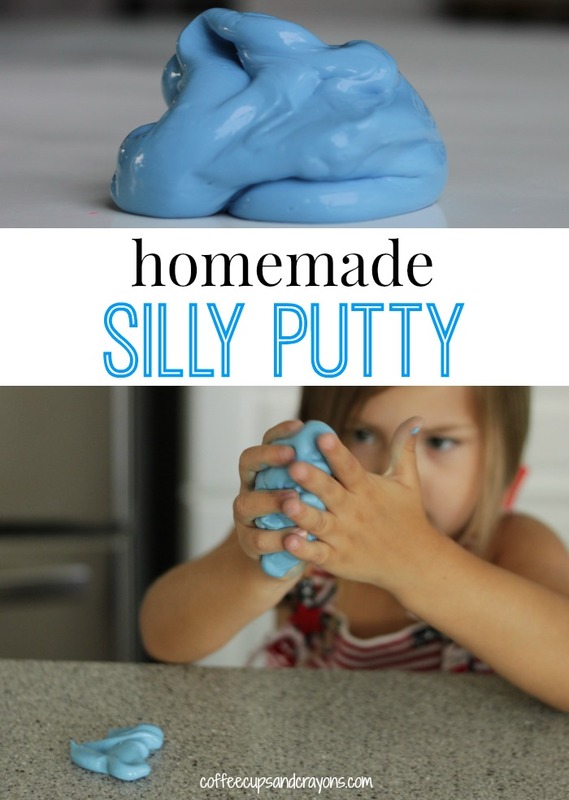 How to make homemade silly putty with this simple silly putty recipe using only 3 ingredients. Kids love playing with playdough, slime, goo, and silly putty. Exploring texture is important for their development! I LOVE this recipe for Homemade Silly Putty from Coffee Cups and Crayons – it’s only 3 ingredients!